Spider-Man received a telepathic message from Moondragon, and realizes he needs to stop Thanos. He can't do that without help, so he goes to the Baxter Building. 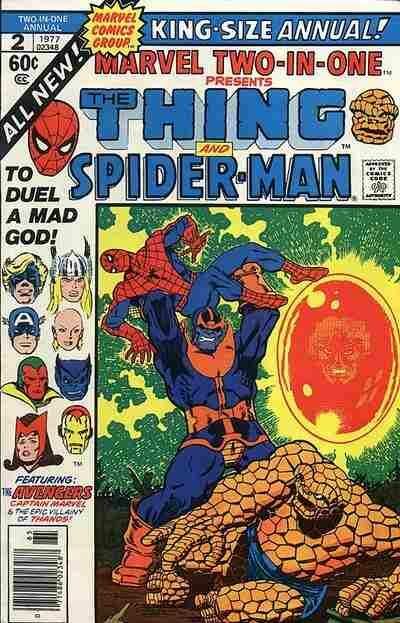 If the combined might of the Avengers, Captain Marvel, and Adam Warlock wasn't enough to stop Thanos, what can Spider-Man and the Thing do alone?